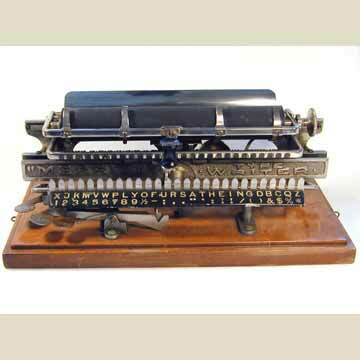 The Merritt linear index blind writing typewriter used loose type in a rail to print letters. Lead type comes up through the adjustment hole. The Merritt was designed by M.G. Merrittk. 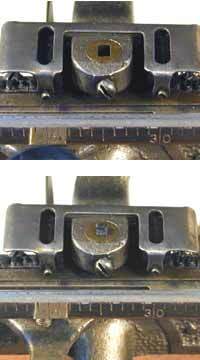 The index knob is used to slide the correct character into position. It is then pressed to print. It types upper and lower case as well as symbols. Early models of this machine are known without the trademark on the frame.